[My Room]--this is not exactly my room. It's my grandparents'. 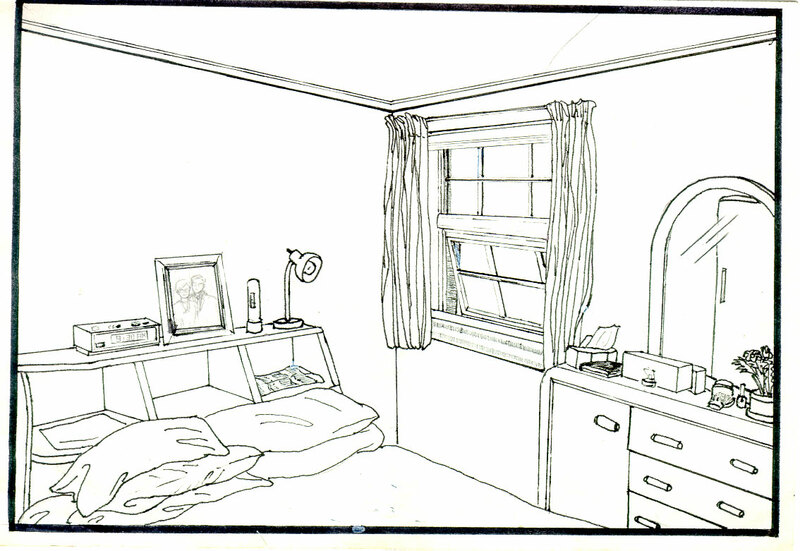 I drew that about four years ago before I came to US, and I drew that from a photo of this room. Now I see this room everyday.